Joe Campanale DipWSET has worn many hats in his roles as restaurateur, beverage expert, host of In the Drink on Heritage Radio Network, and now Proprietor and winemaker of his new brand, Annona Wines. 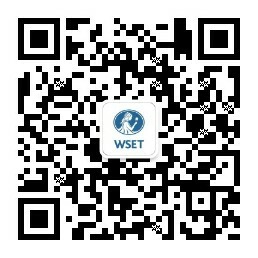 He speaks to WSET about what it takes to stand out in a crowded industry and the benefits of training and education. New York’s food and beverage scene is world-renowned for being cutting edge, what does it take to stand out? It takes a combination of great product selection, excellent service and a distinct point of view. How important is a drinks list in making or breaking a venue? And what’s your key advice for getting it right and building a distinctive, successful drinks list? A great drinks list can add a lot of value to a venue. It gives your guests more reasons to spend money and ultimately the opportunity to have a better time. Some guests choose their dining destination based on the quality of the drinks list. And in general I feel it sets the tone for so much else about the dining experience. A great drinks list should pair well with the food and concept, and have good diversity of style and a specific point of view. I aim to support producers who are making wines by hand, and who are being thoughtful about their impact on the health of the planet. I always hope that my guests have fun, are able to find something they love and come away with a little extra knowledge. What are the biggest challenges for a Beverage Director given the constant evolution of tastes and rapidly changing trends? The biggest challenges are knowing who your guest is and not being influenced by what the latest trends are. Instead it’s better to focus on creating the best quality experience for your clientele. The USA is home to multiple wine certification bodies, particularly for sommellerie – how important is the role of staff training for USA hospitality professionals? Staff training is of utmost importance and something that I’ve devoted much of my professional time to. I would never be able to speak with every guest in the restaurant – so making sure that I have the best-informed team can only be established through staff training. I’ve been lucky enough for most of my employees to view staff training as a perk of the job! You completed the WSET Diploma in Wines and Spirits in 2007, how has it helped to inform and advance your career? I really wanted to learn as much as possible, and so I decided to pursue WSET qualifications as one of my professors from NYU, Linda Lawry, also taught WSET courses at the International Wine Center. I'm very lucky as she was the best wine teacher I've had! Completing the Diploma gave me a great foundation to expand upon, and was especially helpful early in my career as it helped give me a boost of knowledge that propelled my career forward. Being a WSET Diploma graduate has helped me to have more informed conversations, especially nowadays with winemakers whom I’m always learning from. Having succeeded as a sommelier, restaurateur and radio host for your own wine show, you’ve now turned to winemaking. Why the progression and ultimately what’s next? I have been fortunate enough to play a variety of roles in the food and beverage space, and continue to learn as I go. Winemaking gives me a new perspective and is something I have always wanted to explore. For me it was a natural progression - I have had so many jobs in the wine industry, but I felt the only way to really know more was to get my hands dirty. In the next few years, I intend to grow my wine brand, Annona, and open a wine-destination restaurant in Brooklyn with a focus on quality ingredients.